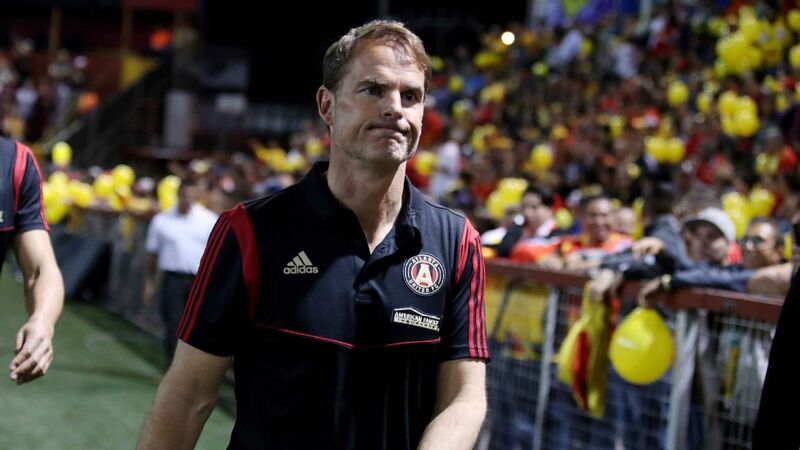 MLS W2W4: De Boer already on the hot seat in Atlanta? Can de Boer pick up where Martino left off in Atlanta? 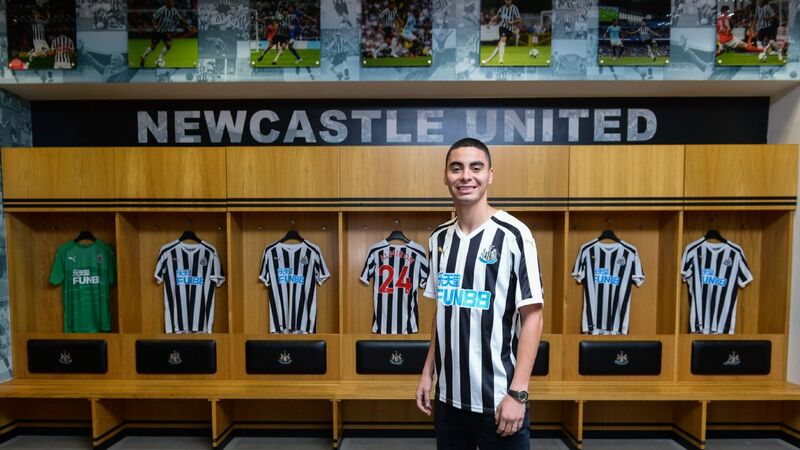 MLS Hot Stove: Is Almiron leaving Atlanta? 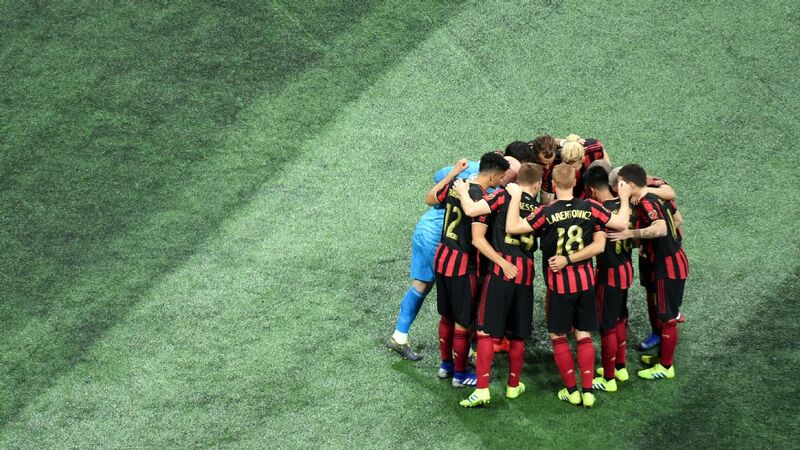 From celebrity predictions to locker room celebrations, go behind the scenes of Atlanta United's historic MLS Cup win. Michael Parkhurst talks about finally getting his hands on the elusive MLS Cup and Tata Martino's impact on both Atlanta United and MLS. Atlanta United lift their first MLS Cup in just their second-ever season with a convincing 2-0 win over the Portland Timbers. ATLANTA -- Michael Parkhurst sat at the news conference stage with the kind of contented look on his face that one gets after finally winning an MLS Cup at the fifth attempt. He was asked about next season and whether Atlanta can sustain the success it has achieved in just two years of existence on the field. Parkhurst preferred to live in the moment. "We'll worry about that next year," he said. "We'll party hard tonight." The party has of course continued since Saturday night in Atlanta. A parade hailing the Five Stripes took place on Monday and was the first such celebration the city has had since the Braves won the World Series in 1995. There was the usual open-top bus ride, with fans serenading the players and the players singing along with them. Jeff Larentowicz had a cardboard sign that said, "Throw Booze." After the players and staff were dropped off at a stage just outside Mercedes-Benz Stadium, they took their turns addressing the crowd. Team president Darren Eales even dropped an Andre 3000 reference when, in addressing "the haters," he said, "The South got something to say." But the party stops eventually and the cold, hard decisions about next year need to be pondered and, in some cases, made. Tuesday will see the 2018 expansion draft take place for FC Cincinnati. Given that only 10 players can be protected, it wouldn't be a surprise to see the reigning MLS Cup champions lose a contributor. That is likely low on Atlanta United's list of worries at this point. When it comes to defending a championships, it doesn't take much for things to go awry. This time a year ago, Toronto FC was being hailed as the best team in league history and there seemed to be no stopping it. But some failure on the player acquisition front, a spate of injuries and a whopper of an MLS Cup hangover saw the Reds miss the playoffs. Looking back further in MLS history, only three teams have repeated as MLS Cup champions and there have been six different winners in the past six years. Assembling a team is like a giant Jenga tower. Pull out a few key pieces and the whole structure can come tumbling down: Atlanta will be hoping that some significant offseason exits don't cause a total collapse. Some pieces have already been removed. 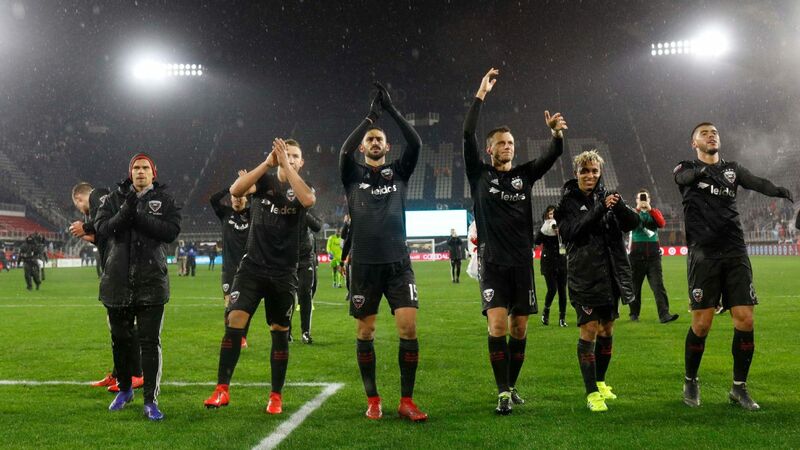 Saturday's match marked the last of the Tata Martino era and almost certainly the Miguel Almiron era as well. Finding a replacement for Martino figures to the tougher of the two. 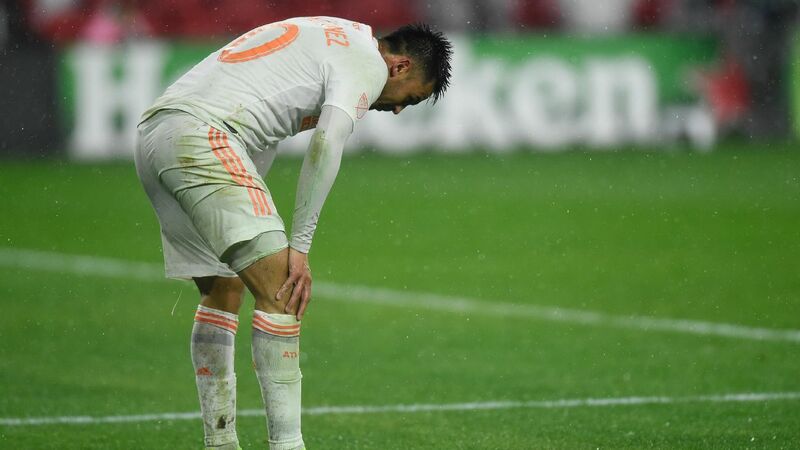 Following Sunday's triumph over rivals Boca Juniors in the final of the Copa Libertadores, River Plate's Pity Martinez confirmed his arrival in Atlanta next season and though he isn't necessarily a like-for-like replacement for Almiron, he along with Ezequiel Barco means that at least in the short term, the Five Stripes' attack should still possess considerable quality. 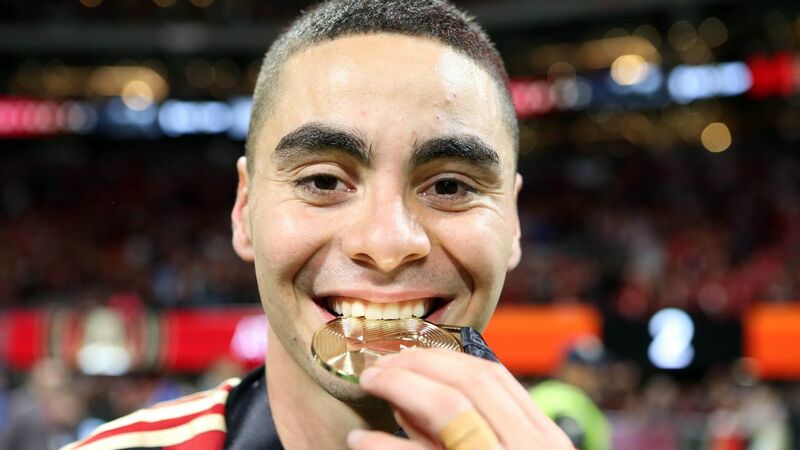 Yet it hasn't been just the Almirons and the Josef Martinezes who have keyed Atlanta's success. "Glue" guys such as Parkhurst and Larentowicz have provided quality further down the roster. There are no absolutes there, either. Atlanta United showed off its MLS Cup at a celebratory parade on Monday. When asked if he would be back next year, Parkhurst, who has a club option for next season, said, "I hope so. I'll find out soon enough." 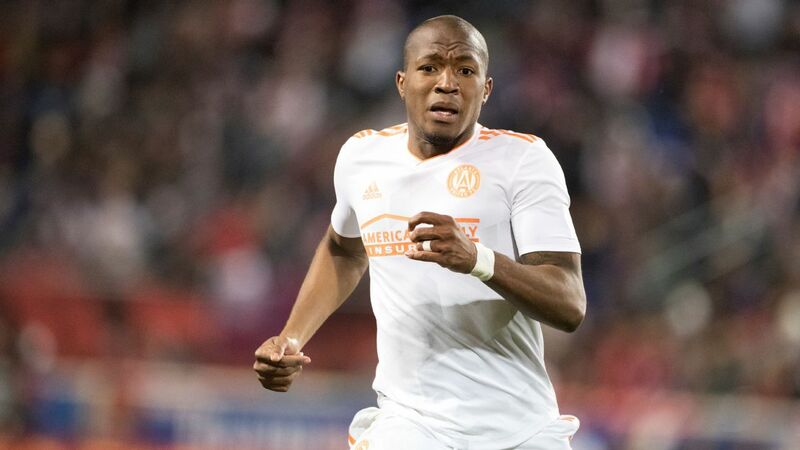 Less than 24 hours later, it was revealed that Atlanta declined his option for 2019, though it is said to be negotiating with him to come back. Both Parkhurst and Larentowicz have been exposed in the expansion draft, but a younger player such as Brandon Vazquez might prove to be more attractive. Martino, on the other hand, has provided the gravitational pull that has helped draw in some of Atlanta's South American contingent while also instituting a style that has captivated fans and neutrals alike. "Martino did bring us a credibility," team president Darren Eales said in an exclusive interview with ESPN FC just before the postseason. "It made a statement that we had someone who had been manager of Barcelona and Argentina." Yet Eales insists that Atlanta is in a much different place than it was when Martino arrived in 2016. Atlanta United is no longer a concept on a whiteboard that can only be imagined. There are two seasons of stellar crowds, and a culture of winning has been embedded into the organization and locker room. Money has been spent on infrastructure as well, from the team's training center to the academy and the organization's USL team. 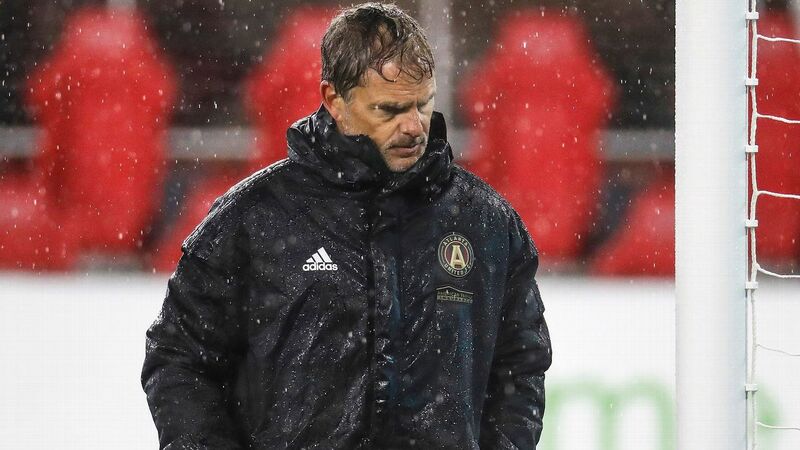 "I think it's much more important to have someone we feel is going to be the best coach for Atlanta United to bring us success on the field, along with the player development element." Eales is clear that the next coach will need to build on the style of play that has been implemented under Martino, although whoever is named will no doubt put their stamp on it. That means playing out of the back, pressing, possession and playing vertically up the field at a rapid pace. The new coach will also need to emphasize the academy and USL team so that the pipeline of players has multiple entry points. "It would be crazy to bring someone in that wasn't going to want to play in the style [we have now] and use the players we've got," Eales said. "It will be similar." Reading the tea leaves, that would seem to point away from Boca Juniors -- and former MLS MVP -- Guillermo Barros Schelotto given that his style is very different from Martino's. That said, his name is well-known throughout South America so the gravitational force is something Atlanta wants to replicate, Schelotto fits the bill. A report from Argentine outlet Clarin wrote that Atlanta was talking to Jorge Sampaoli, though the word from Atlanta is that a decision on a new coach might not be made until after Christmas. It's also worth pointing out that some key people -- Eales and technical director Carlos Bocanegra among them -- are still around. So too is the man who in many ways made Saturday night possible: owner Arthur Blank. That trio has provided the money and the shrewdness to build the organizational foundation, one that has the team set up for sustained success. 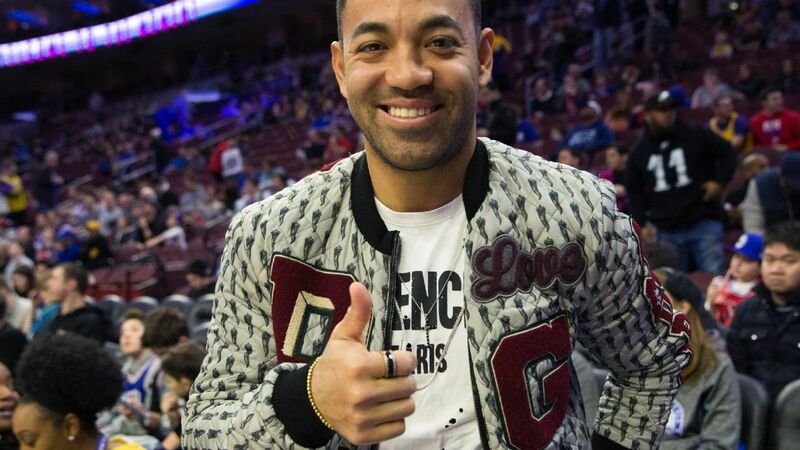 Given the financial clout, the rest of MLS finds itself playing catch-up both on and off the field. "This club had a plan from the very beginning, from the first time we spoke in September 2016 in Rosario," Martino said through an interpreter in his news conference after winning MLS Cup. "The important thing is this club never modified anything from those plans that they had told me, and that is very important, and it's what makes this club very successful. This club has had a plan and the directors have followed that plan to a tee." Parkhurst has seen the growth of MLS firsthand, from his early days with the New England Revolution through a spell with the Columbus Crew and now Atlanta United. He's convinced that with much of the existing brain trust remaining, the team is in good hands. 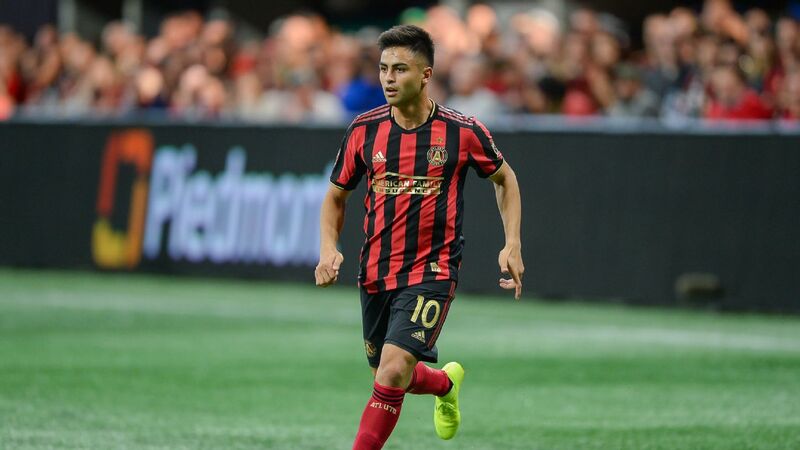 The Martinez acquisition speaks to how attractive a destination Atlanta remains to players and that there will indeed be life after Tata. "Everything the club has done has been good," Parkhurst told ESPN FC prior to the MLS Cup final. "They've put their resources to good use. They've got plans, and the people at the top are still there making our decisions, so I expect that they'll make a good hire, they'll continue to spend money and sign players. We'll miss Tata, but things will move on, and the club will be all right." For now, Atlanta is more than all right. It is at the top of the MLS heap and the business side looks rock-solid. The playing side looks promising too but 2019 will reveal just how stable the Five Stripes' structure really is.